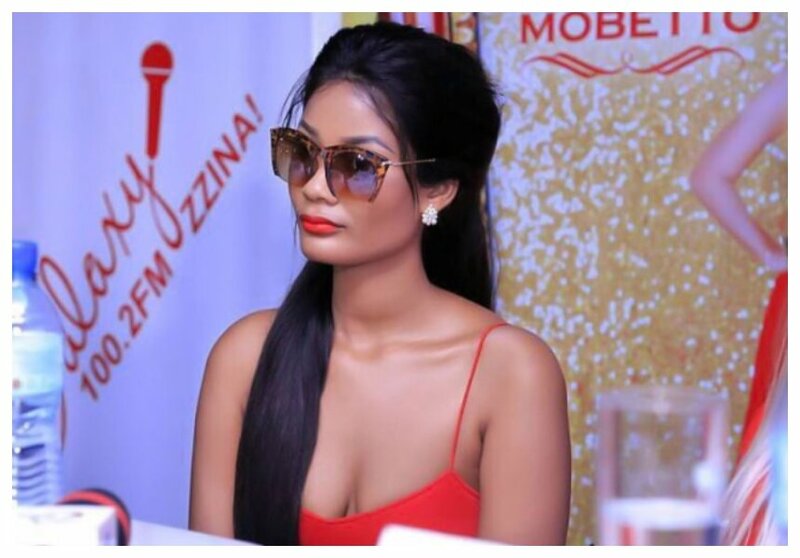 Hamisa Mobetto has cleared the air about her alleged pregnancy. The mother of two was rumored to be pregnant again for her baby daddy Diamond Platnumz. Rumor had it that Diamond even bought the new house for Hamisa Mobetto because she was pregnant for him again. Hamisa and Diamond have a baby boy who was born a year ago. Hamisa addressed the pregnancy rumor on a post on Instagram. The Tanzanian video vixen confirmed that she was indeed expectant. Mobetto also confirmed that Diamond was the father of her unborn baby. She said she was five months pregnant. “Kuna habari zinazoenezwa na page za udaku kwamba mimi ni mjamzito…. 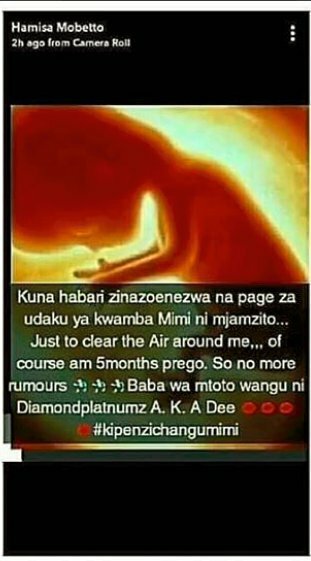 Just to clear the air around me… Of course I am 5 months pregnant…so no more rumors Baba wa mtoto wangu ni Diamond Platnumz aka Dee,” wrote Hamisa Mobetto.